Just found out my paranormal romance, Divergent Bloodline, is a nominee for the prestigious InD’tale Magazine RONE awards. I would love your vote, if inclined! Voting runs all week from Monday, April 18th to Sunday, April 24th. Even the thin blue line bleeds shades of grey. My publisher is offering Divergent Bloodline for review on NetGalley during February. So, if you’re interested in a vampire/cop paranormal romance with powerful immortals and a stubborn detective determined to solve a murder, please consider requesting Divergent Bloodline to review! Wow! It’s so nice to hear when someone enjoys your work. Who Are Carina and Marek Anyway? Plus sales, giveaway, and raffle! I love writing. Ever since I was little, I’ve spent hours inside my head manipulating stories to the point I would write them down. I’m a seat‐of‐the‐pants writer, meaning I sit at the computer, stare at a blank page, and release my fingers to the keyboard. The blank page is my canvas. Instead of being intimidated by it, I find the white space beautiful because so much is hidden within that emptiness—dragons, vampires, Critons, new worlds to explore, battles to conquer, and most of all, love. All my stories involve romance. Romance is the glue that holds my words together. For years, I wrote stories then “shelved” them so to speak and moved onto the next one. Caller of Light was the first I showed to others, and to my surprise, got published! Since Caller was my first, I thought I’d discuss the main characters and how they originated. Originally, my hero had the last name of Tremaine, but one morning, I realized King Marek Tremaine was boring and one dimensional. My attempts at reinventing him failed. Anything I created in my mind, didn’t work. I guess I was experiencing a form of writer’s block. Since Carina didn’t have anyone to interact with, I couldn’t continue the story and set it aside to await inspiration. Two weeks passed, a few things happened, and for the first time, I decided to use something other than my imagination to create my characters. I chose a real person, Gerard Butler, to pose as Marek. Since I didn’t know anything about the guy, I did some research. Found out he’s Scottish! Not that being Scottish is bad; it’s just that if I was going to use him for Marek, the flavor of the book just changed. So, instead of Marek being a Tremaine, he became a Duncan. Instead of living in Trendalin, King Duncan lives in Stirrlan (a play on the Scottish Stirling Castle). He now carries a dirk instead of a dagger and a claymore (two‐handed great sword). You get the idea. Carina McKay was much easier to define. From the beginning, she displayed a down to earth sensitivity that many might mistake for weakness, but in actuality, is strength and courage entwined around a steel spine. She’s the everyday, multi‐faceted woman capable of achieving great feats, not afraid to try, and willing to fight to protect those she loves. Even now, her complex, yet contradictory, simplistic character intrigues me. I wrote Caller of Light in a sweeping, lyrical style that some people love, and some, not so much … but that’s okay. The new release of my paranormal vampire/cop story, Divergent Bloodline, is written in a more traditional style. Why the difference? I’m not sure. I guess that’s what I first saw when I sat down and released my mind and fingers to the blank page staring back at me. .99 cent sale – Caller of Light is on sale for .99 cents at all major retailers until December 18th, the lowest price my publisher has ever offered it! Half price sale AND Giveaway – The Wild Rose Press is offering the ebook version of my new vampire paranormal release, Divergent Bloodline, for half price from their website only until Saturday, December 12th. I’m also hosting a giveaway on Goodreads for an autographed paperback of Divergent Bloodline. Easy to enter, and you might win! The giveaway ends Saturday, December, 19th, 2015. 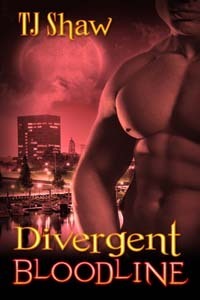 You also have an opportunity to win a digital ebook of Divergent Bloodline in your choice of format from TomeTender.blogspot.com. The raffle ends on December 23rd so head on over to Tome Tender and enter! They say to write what you know. I don’t know who “they” are, but the advice seems sound. Since I’ve been a felony crimes prosecutor, worked the road as a police officer, and now write policy and procedure for the same police department, I decided to combine some of my passions into what is now Divergent Bloodline. Cops are a rare breed. They witness not only the good people do for each other, but also respond to volatile, emotional situations often resulting in heartbreak. The stress officers work under on a daily basis is incredible. They form strong bonds with fellow cops to survive the mental and physical demands placed upon them. Your partner is more than a friend; your partner protects your back when you enter the building with guns drawn. Although Divergent Bloodline is a work of fiction and focuses on the romance between a homicide suspect (who happens to be a vampire) and the detective assigned to the case, I tried to capture the special relationship officers share with each other. I hope you enjoy Divergent Bloodline as much as I loved writing it. Half‐Price Sale: My publisher, The Wild Rose Press, is offering the digital version of Divergent Bloodline for half price through their website only from Wednesday, December 9th through Saturday, December 12th. Win an autographed paperback copy! – Enter the Goodreads giveaway for Divergent Bloodline. Giveaway ends Saturday, December 19th, 2015. Easy to enter and you might win! 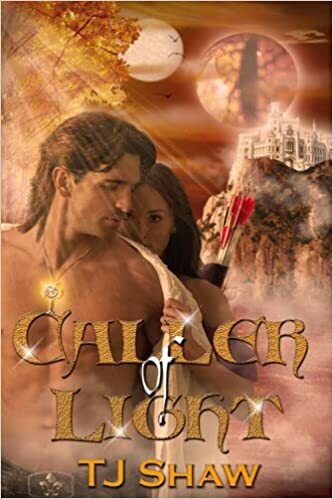 .99 Cent Sale: To celebrate Divergent’s release, my high fantasy romance, Caller of Light, is available for .99 cents at all major outlets until Friday, December 18th. I’m proud to announce the cover for my new paranormal romance, Divergent Bloodline! Win an autographed paperback copy! – Enter the Goodreads giveaway. Giveaway ends Saturday, December 19th, 2015. Easy to enter and you might win! While tracking down a killer, clues lead homicide detective, Viviane Taylor to suspect, Julian DeMatteo. From the get‐go, DeMatteo unsettles and irritates her. He is a force she has never encountered, someone who excites her even though he is forbidden. Her instincts warn that he’s hiding something and she is determined to uncover those secrets. “Don’t push me away, Viviane,” he rasped in a hoarse gravel of sound. Except for the enticing tremor in her bottom lip, she stood like a statue, the curl of her eyelashes hiding her inquisitive, emerald eyes. Cupping her chin, he lifted her face and dropped his forehead onto hers. Closing his eyes, his other senses sharpened on the woman quivering against him. Air whispered in and out of her lungs in ragged gasps. The soft brush of her hair teased his skin. The catch in her throat when his hand slid to the small of her back encouraged his slow acquisition of her. He understood her wish to maintain a professional distance, but her body betrayed her as she leaned into him. With utmost care, his mouth grazed down her face, tasting the lush satin of her skin. Her breath caught. He stilled her halfhearted attempt to step away by pinning her at his side. Flattening his hand against her jaw to keep her from turning, his lips skirted across her cheek, angling toward her mouth. Her pulse skipped, and he smiled an instant before his lips touched hers. In an exquisite, painful burst, his heart exploded and light cascaded into the darkest corners of his soul. “No,” she gasped, planting her hands on his chest, but his desire to claim her was too strong. He slammed her against the wall with his body and kissed her with a roughness that required no less than total submission. I love it when I pick up a book not having any expectations and it totally blows me away. INTO THE DARKNESS was one of those books … it blew my socks off! Wow! What a surprise read this turned out to be. As an orphan, Sasha has grown up on the outside. She’s not popular or a great student, and to top it off, sees people that others can’t—invisible people she calls shadow men. Fortunately, she has her boyfriend who keeps her on track until her life changes one night when these shadow people turn out to be real! It took me a few pages to get hooked, but once Sasha met the shadow men and their leader, Stefan, I couldn’t put INTO the DARKNESS down. The chemistry between Sasha and Stefan is intense and hot. Although they try to deny their feelings, especially Stefan, the attraction they have for each other is undeniable and builds quickly. While I loved the romance between Sasha and Stefan, I also thoroughly enjoyed Ms. Breene’s dialogue. Dialogue can be hard to write in a way that’s not stilted or awkward, yet Ms. Breene’s wit and humor had me laughing aloud in places. The banter between Sasha and Charles is just too funny! I believe Ms. Breene keeps INTO the DARKNESS as a free read, so it was easy for me to give it a try, and I’m glad I did. Great chemistry between the main characters and strong supporting characters, along with excellent world‐building and a strong magical premise will keep me reading this series.